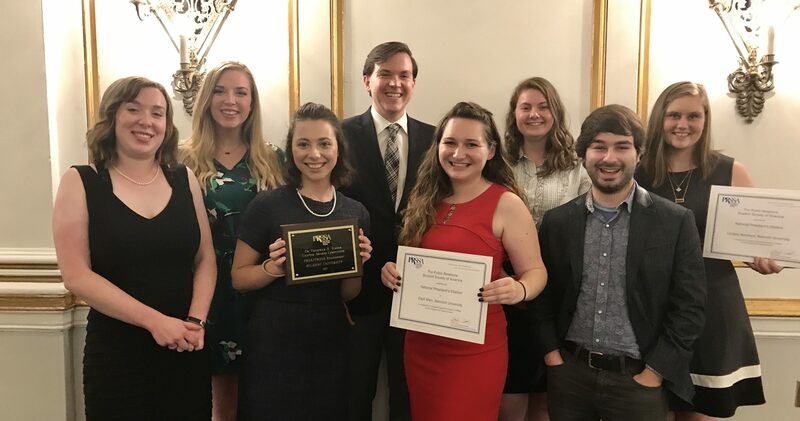 Belmont’s chapter of Public Relations Student Society of America (PRSSA) recently received the national PRSSA Teahan Award for Outstanding PRSA/PRSSA Relationship, as well as a Star Chapter Award, recognizing 10 criteria of excellence. Belmont PRSSA is one of only two chapters to receive this award every year since it was established in 2009. The students also received six national awards for their individual contributions to the chapter and the public relations profession. These students received the awards at the PRSSA National Conference in Boston this month. The conference is the largest gathering of public relations students in the country and offered these students the opportunity to network and learn while exploring different sections of the public relations industry.